Local SEO can be complicated. Advertising used to be much simpler. Put an ad in the paper – the phone rings and people walk through your door. But put yourself in today’s consumer shoes for a second – when was the last time you picked up a phone book or flipped through a newspaper to find a local business? Do you think that’s where potential customers are finding you? As a business owner, can you really afford to sit back and let “the other guy” take money out of your pocket? You need to engage in Local SEO. SEO On Fire will help your business thrive in the digital age, and local search engine optimization (Local SEO) is a great place to start. We develop proven online strategies that drive local traffic to your website – utilizing the best in proven local SEO practices to ensure you don’t miss out on sales opportunities. Local SEO is a cost effective, high results return on investment when compared to other advertising methods. Using specific key words and phrases to attract qualified visitors to your website, a localized SEO program puts your business in front of customers who are ready to buy today! 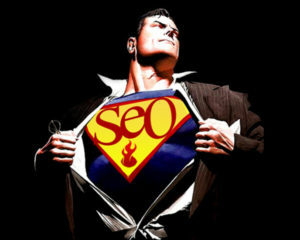 SEO On Fire will help you climb the competitive search engine ladder in your city for a fraction of the cost of larger firms. We develop custom solutions to meet every client’s unique set of needs.